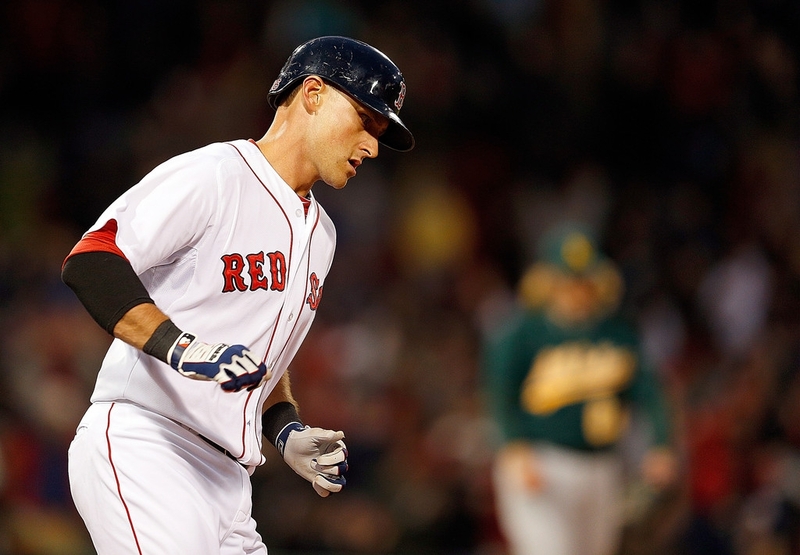 Will Middlebrooks #16 of the Boston Red Sox rounds first by pitcher A.J. Griffin #64 of the Oakland Athletics after connecting for a three-run home run in the 4th inning at Fenway Park on April 22, 2013 in Boston, Massachusetts. - high-definition photo for free download.